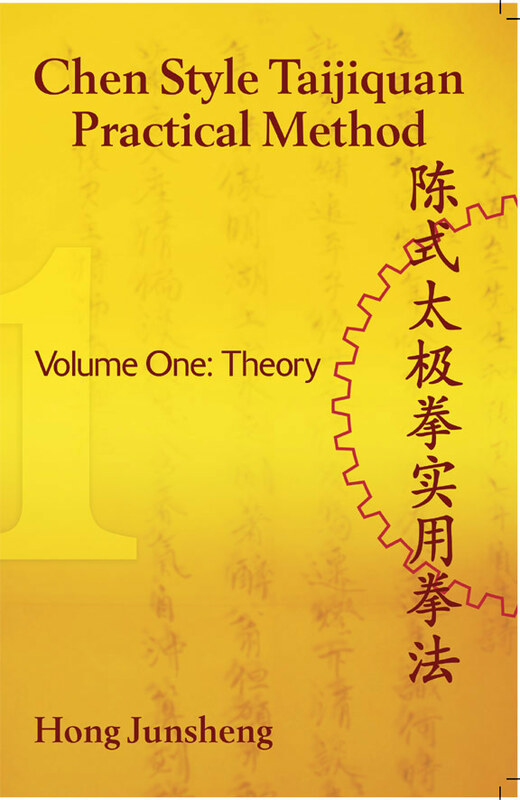 See also Positive Circle – correction by Master Chen Zhonghua. See also Negative Circle – correction by Master Chen Zhonghua. YouTube – Chen and Calandra Taiji Applications. Master Chen Zhonghua and Michael Calandra explained some of the Cannon Fist techniques in this video clip. 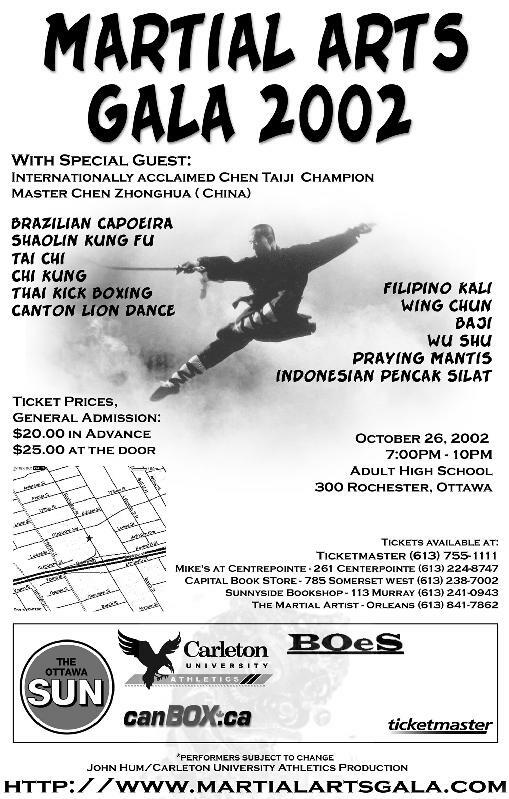 The setting was in Master Calandra’s dojo in Queen, NY in 2003 at a workshop on Cannon Fist of Chen Style Taijiquan Practical Method. Arrived on time in Ottawa. Almost 30 degrees! James Chan and Steve Chan came to the airport in their T-Shirts! It’s nice to be warm! Stopped by for fast food on the way to Gilles-Vallant Taichi Center. 3:00 pm private with Pierre. 4:00 pm private with Daniel. Supper with James, Daniel and Steve. 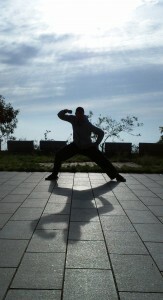 7:00-10:00 pm Qigong and push hands at Gilles-Vallant Taichi Center. Lots of pushhands exercises. It was after 10:30 when we got home to Jame’s place. A bit snack and push hands explanations. 1:00 am now but it actually is only 11:00 pm for me. Good day today but tomorrow I will probably be tired from lack of sleep. My name is Jeff Higgins. For those of you thinking about studying with Master Chen Zhonghua I would like to share my background and experience taking a workshop. Getting to the workshop location and depart for the airport are the responsibility of the participants. Some organizers arrange airport pick-ups while others do not. Check the workshop detailed information page for further information or you can contact the workshop organizer for details. No video taping except by permission from the host. So you want to attend one of Master Chen Zhonghua’s workshops! Here is a checklist to help you gain maximum bang for your buck! What’s the most important consideration when attending a seminar? I will offer a list of things you need to look after before you attend a workshop to learn Taiji. While I am on Daqingshan for my studies, can I have friends of mine visit me? Most definitely! Daqingshan Mountain Resort can accommodate your friends while you are with your studies. We can also look after them with tours and other activities. They can also dine with your Taiji group or have private dining facility. President and head instructor of Hunyuantaiji Academy 19th generation master of Chen Style Taijiquan under grandmaster Hong Junsheng. 2nd generation master of Hunyuantaiji under grandmaster Feng Zhiqiang. Honorary instructor of grandmaster Feng Zhiqiang’s Beijing Zhiqiang Wuguan. 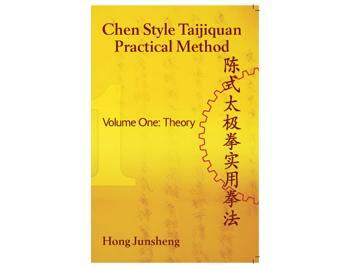 International Standard Bearer of the Chen Style Taijiquan Practical Method System. Charlie Gordon and Alyssa Burrows came to join us today. Now it’s like a mini-Daqingshan reunion. Steve, Charlie and Nick are DQS graduates.